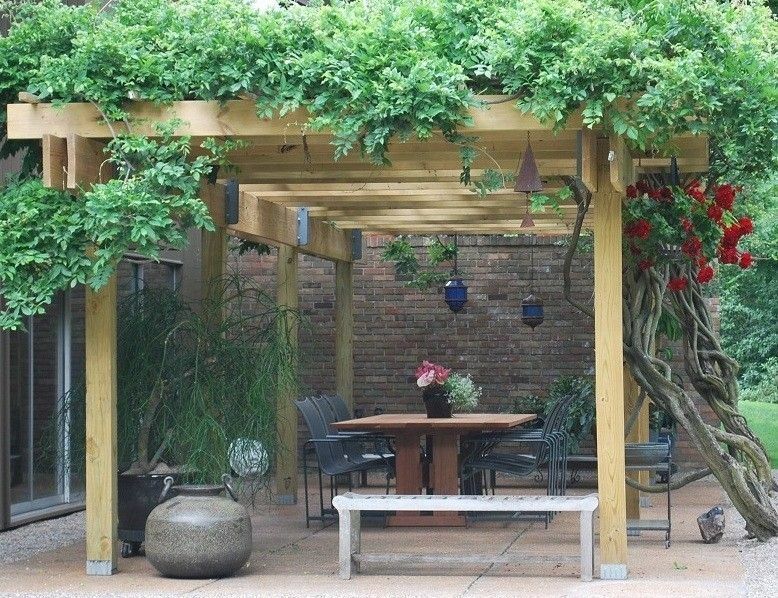 A new pergola supports a beautiful, old wisteria. 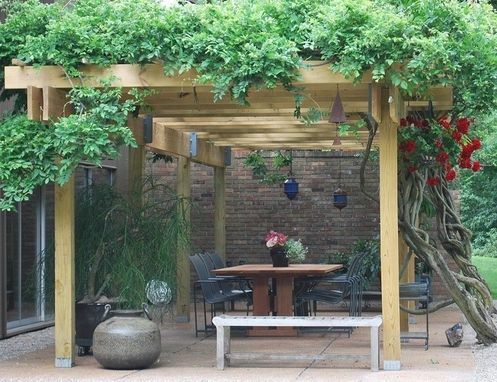 The old pergola was so rotten, it was literally being propped up by the wisteria. The table at the center is made of the wood from the old pergola!